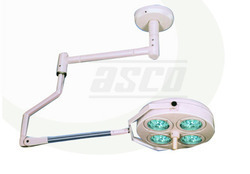 Leading Manufacturer and Exporter from New Delhi, our product range includes Operation & Examination Lamps such as Ceiling Shadowless Surgical Operating Lamp Code : CS3008, Ceiling Shadowless Surgical Operating Lamp Code : CS3001, Ceiling Shadowless Surgical Operating Lamp Code : CS3003, Ceiling Shadowless Surgical Operating Lamp Code : CS3010, Ceiling Shadowless Surgical Operating Lamp Code : CS3005, Ceiling Shadowless Surgical Operating Lamp Code : CS3016 and many more items. This system includes two domes where each dome has three mirrors finished reflectors mounted on separate arms. Each reflector is fitted with heat absorbing and colour correcting glass filters, which ensure high intensity, colour corrected & shadowless light beam. Specially designed for providing cool and high-intensity light. Colour-correcting heat protection filter for ensuring low heat radiation in the field. High-performance special halogen light source. Adjustable light intensity. Removable Sterilizable handle provided for positioning of the lamp. The possibility of wide range of Radial, angular and axial smooth Movements. 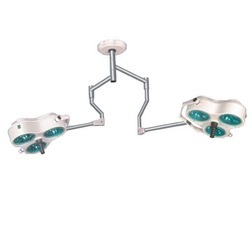 Triple dome multi-functional lamps are suitable for all the major surgical processes. The dynamically spring balanced lamps provide feather touch movement with triple dome that helps to concentrate on different focus areas. Specially designed for providing cool and high intensity light. Color-correcting heat protection filter for ensuring low heat radiation in the field. High performance special halogen light source. Adjustable light intensity. 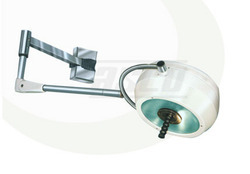 Removable Sterilizable handle provided for positioning of lamp. Possibility of wide range of Radial, angular and axial smooth Movements. Code : CS3008 Single dome one reflector lamps are designed for high intensity light, having greater focusing depth on the operation area. The color temperature and color-rendering index of the lamp is close to average daylight, so that surgeon can have clear view and differentiate tissues easily during the operation. Specially designed for providing cool and high intensity light. Colour-correcting heat protection filter for ensuring low heat radiation in the field. High performance special halogen lightsource. Adjustable light intensity. Removable sterilizable handle provided for positioning of lamp. Possibility of wide range of Radial, angular and axial smooth Movemonts. 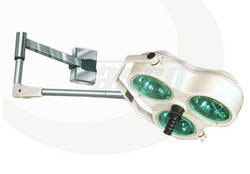 Fully spring balanced, improved high intensity light for all major surgical operations. Both the domes are fitted with adjustable light source and sterilized handles for accurate positioning of the lamp. 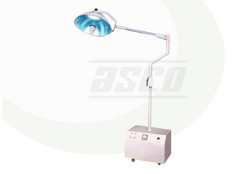 Specially designed to provide cool and high intensity light, these surgical lamps provide easy adjustment with feather touch movement around the axis. 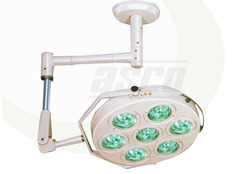 High intensity lamp having single dome with seven reflectors is the best choice for all types of major surgery. The multi-facet reflection technique of the lamps create an excellent shadowless effect with a clean laminar flow. Specially designed for providing cool and high intensity light. Color-correcting heat protection filter for ensuring low heat radiation in the field. High performance special halogen light source. Adjustable light intensity. Removable Sterilizable handle provided for positioning of lamp Possibility of wide range of Radial, angular and axial smooth Movements. Fully spring balanced shadowless lamps with color and temperature correction filters. These lamps are designed to provide a clean laminar flow with greater focus on operation area. 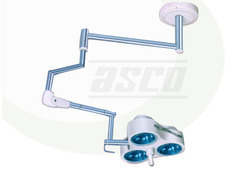 Highly applicable in general and dental surgeries, this system consists of single unit reflector that provides focused, high intensity light beam. We offer high intensity surgical ceiling lamps, which are fitted with twin dome and one short pass (SP) reflector for shadowless lighting during operations. These are especially designed for accurate focus adjustment and to ensure consistent flow of light beam precisely on the point of surgery. 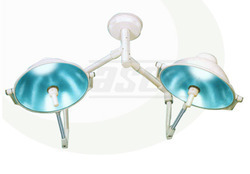 The single dome with three reflectors is highly applicable in medical surgeries and diagnostic purposes. All the three SP reflectors are provided with heat absorbing and colour correcting glass filters to ensure fine visibility during operations. 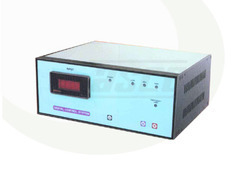 Code : CSA001 Low voltage supply unit ensures continuous and consistent power supply regulating the voltage fluctuation and prevents any damage to sophisticated equipment. 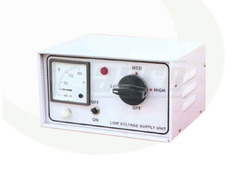 Our automatic low voltage supply unit with digital display facility helps in maintaining a continuous and stable power supply to any sophisticated hospital equipment. This automatic voltage regulating device offers an excellent remedy for the problems like under-voltage, over-voltage and power spikes. 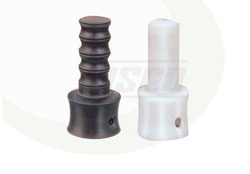 Code : CSA004 A part from the standard fitment, we also offer spare bulbs for different operation theater lamps. 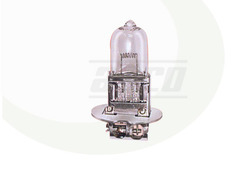 The spare halogen bulbs are available in different power range. Specially designed for providing cool and high intensity light. Color-correcting heat protection filter for ensuring low heat radiation in the field. High performance special halogen light source. Removable Sterilizable handle provided for positioning of lamp. Possibility of wide range of Movements. Banking on our enriched industry experience, we are engaged in offering a huge gamut of Ceiling Shadowless Surgical Operating Lamp . Fully spring balanced, improved high intensity light for all major surgical operations. Both the domes are fitted with adjustable light source and sterilized handles for accurate positioning of the lamp. Color-correcting heat protection filters for ensuring low heat radiation in the field. Possibility of wide range of Radial, angular and axial smooth Movements. Easy Movement on high quality castors. 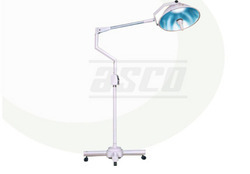 In the wake of the ever rising demand for reliable products, we are engaged in offering a wide assortment of Mobile Shadowless Surgical Operating Lamp. Fully spring balanced mobile shadowless lamps with heavy base and rust proof finish. These lamps are fitted with high quality thermal glass for color and temperature correction. 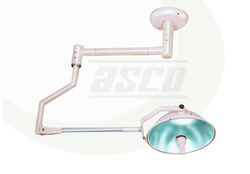 In the wake of the ever rising demand for reliable products, we are engaged in offering a wide assortment of Ceiling Shadowless Surgical Operating Lamp. Single dome one reflector lampsare designed for high intensity light, having greater focusing depth on the operation area. The color temperature and color-rendering index of the lamp is close to average daylight, so that surgeon can have clear view and differentiate tissues easily during the operation. Code : CSA003 We offer sterilizable handles, which can be easily removed from the main body of operation theatre (OT) lamps. Sterilizable handle permits assembly within a sterile field and prevents any infection.